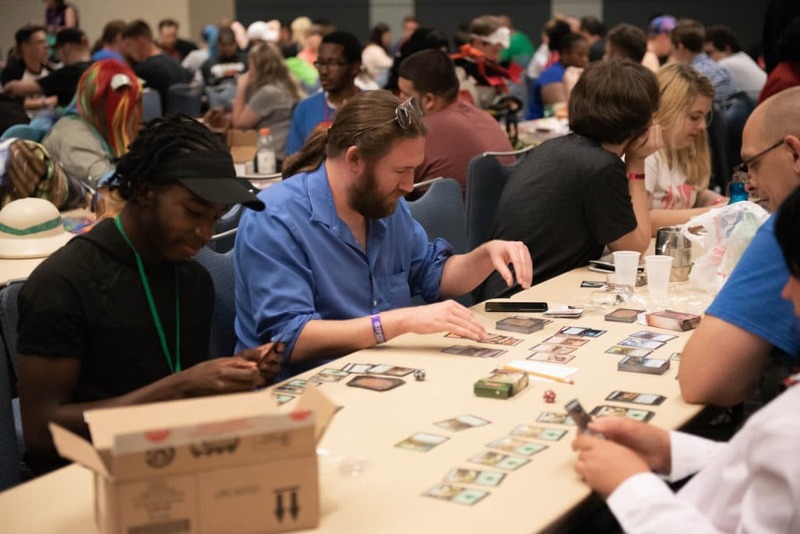 GalaxyCon features the best in Tabletop Gaming including Board Gaming, Card Gaming, Role Playing Games, and more! Compete in tournaments or just hang out and play games with your friends. 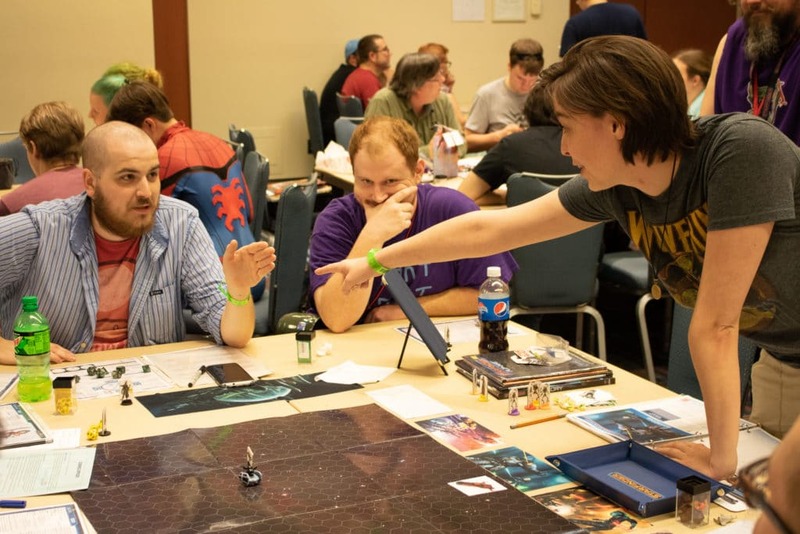 Atomic Empire, based in Durham, NC, is bringing Tabletop Gaming to GalaxyCon. 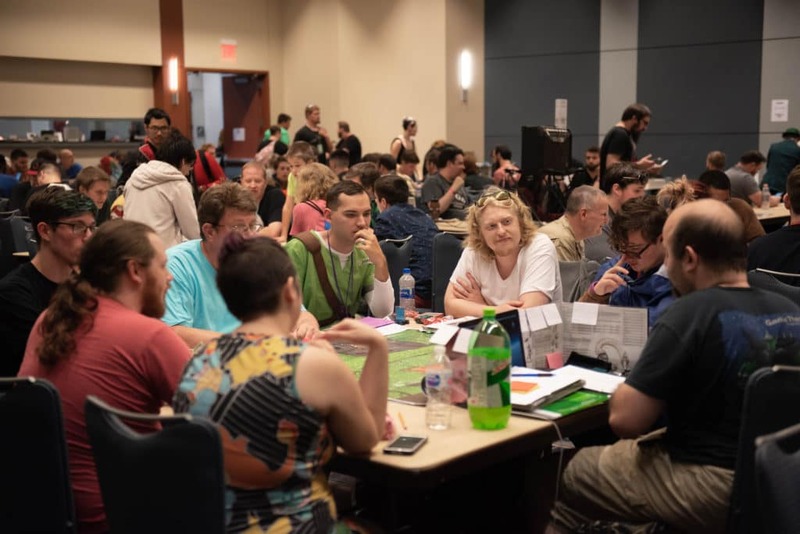 Tabletop Gaming will be located in the Oak Forest and the Hannover Ballrooms at the Sheraton Hotel, next to the Raleigh Convention Center. You must have a GalaxyCon Raleigh badge to enter this area. 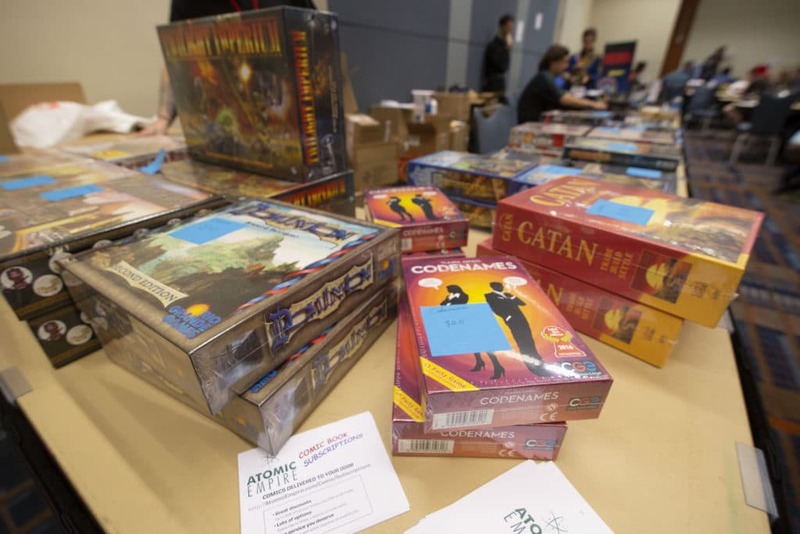 Play popular games including, but not limited to, Settlers of Catan, Cards Against Humanity, Pandemic, Splendor, Tokaido , Agricola, Love Letter, Ticket to Ride, Carcassonne, King of Tokyo, Small World, Ascension, and more! Checking out a game is absolutely free! Play Magic the Gathering and other card games in open play and organized tournaments. Adventurers! Steel yourselves for for Adventurers League at Raleigh Supercon! The D&D Adventurers League is an ongoing official campaign for Dungeons & Dragons. It uses the fifth edition Dungeons & Dragons rules, and features the Forgotten Realms setting. Strap in and blast off! The Starfinder Roleplaying Game puts you in the role of a bold science-fantasy explorer, investigating the mysteries of a weird and magical universe as part of a starship crew. The Starfinder Society Roleplaying Guild is a worldwide science fantasy campaign that puts you in the role of an agent of the Starfinder Society.